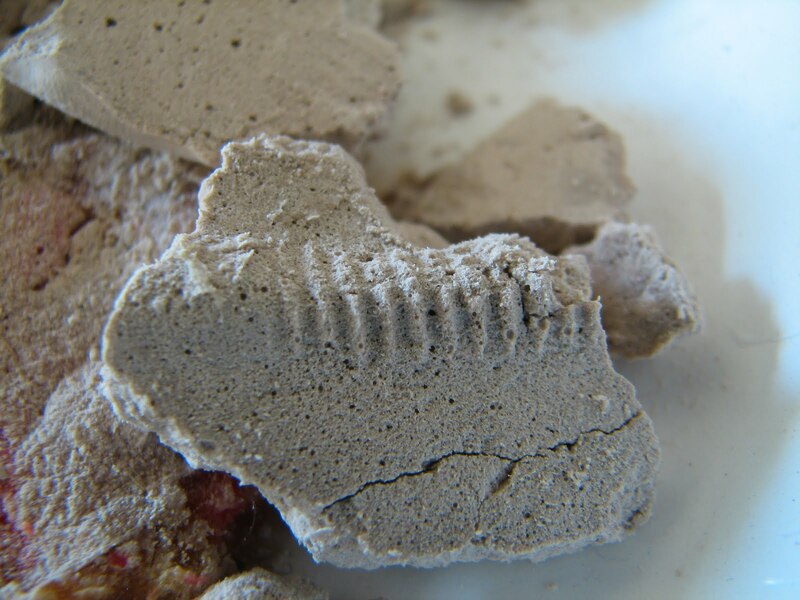 Fossil footprints could certainly be added to your summer camp repertoire, but summer's also a great time to break out the big-guns and make some plaster fossils. 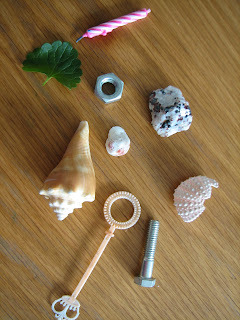 Before beginning, you'll want to collect a bunch of objects with interesting shapes and textures. You can look around the house to find things or search outdoors. You may even want to have students collect objects during a nature walk. Seed pods of different types are interesting (gum balls - from gum trees - are really great). Leaves are a bit tricky, but worth trying. 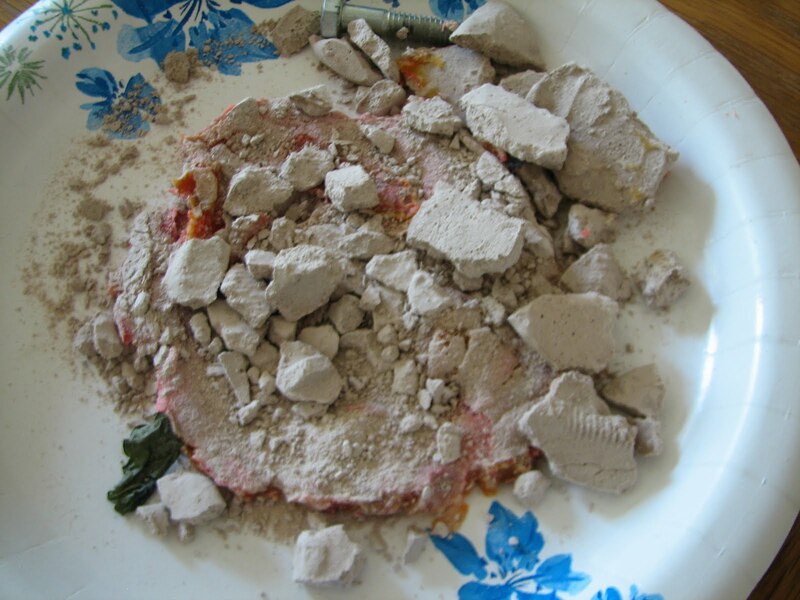 To begin the activity, each student will need a paper plate and a hunk of clay. This is where you need to follow my directions, not my pictures - you NEED to use real clay, NOT play doh. 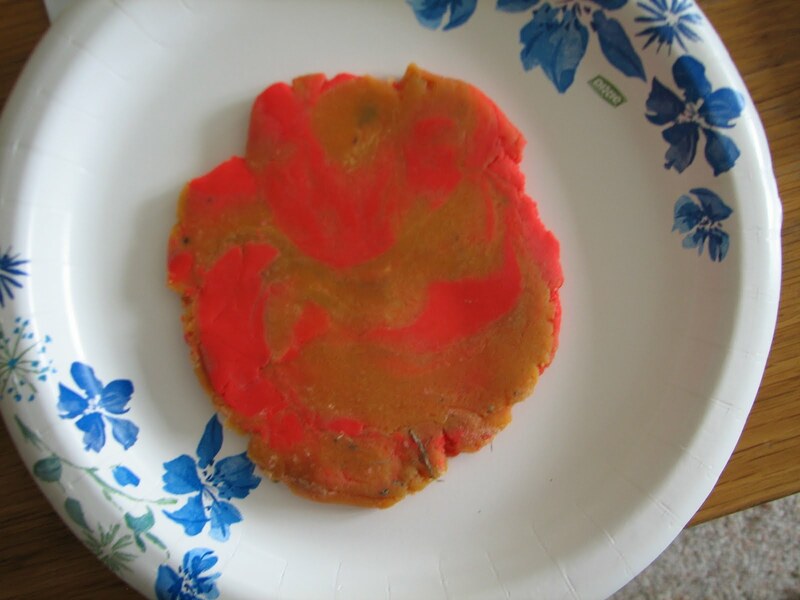 (For photography purposes, I tried using what I had on hand, but the results were disastrous, as you'll see below). Spread the clay into a pancake on the plate. You want to leave it somewhat thick - about 1 cm or 1/4". Use the various objects you've gathered to make impressions in the clay. 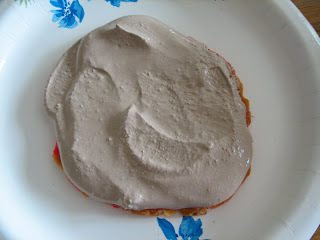 Pour some plaster over each of the clay impressions. Your plaster will probably run over the sides of the clay a bit - I mixed mine a little too thick. Then you let it sit and harden, overnight at the very least. And this would be where I show you how to life the whole thing off the plate, peel the clay off the plaster and reveal a beautiful plaster cast. 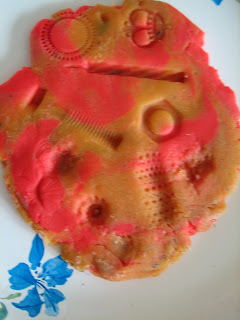 Instead, I used play doh, which is has too much water and doesn't allow the plaster to harden properly, so I have a crumbly mess. Use clay!